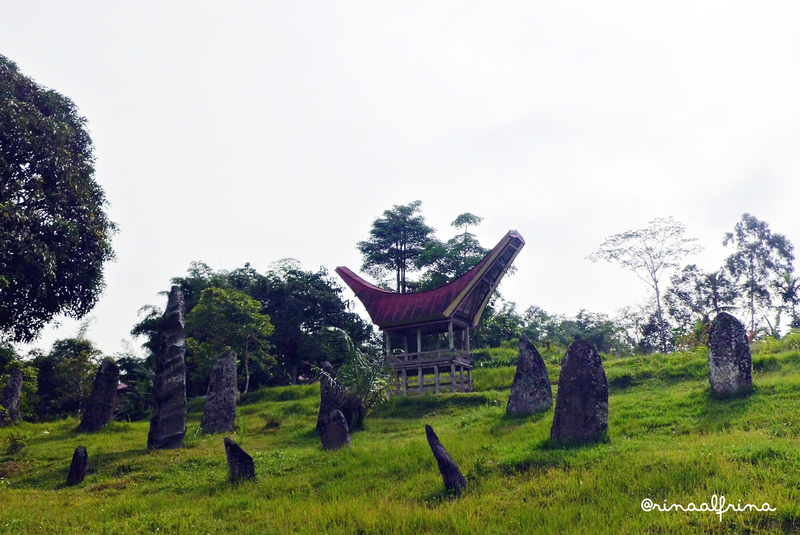 Rante Karassik megaliths near Rantepao, Tana Toraja, south Sulawesi, Indonesia. Formerly, the sites of Buntu Pune and Rante Karassik belonged to one integrated settlement. Buntu Pune was the dwelling compound and Rante Karassik was the ceremonial ground. Although these sites are now separated due to recent development, the sites still function as they did in the past. In this nomination, therefore, both sites are considered as a single unit of traditional settlement and numbered 5a and 5b respectively. The site of Rante Karassik is a ceremonial ground on a sloping hill. As mentioned above, this site is actually a part of the Buntu Pune traditional settlement. Until today, the Buntu Pune people still use the ground for certain ceremonies, in particular those connected with death. Since Rante Karassik is situated quite far from the Buntu Pune compound, the two sites appear to be quite separate. Uniting them is no longer possible, since recent development has resulted in a dense population of the area in between.